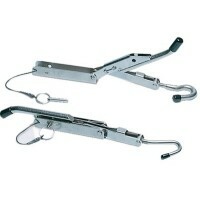 Low cost, positive action, instant lock & release, accepts 1/2" rope. Use on each end of the boat. B..
Screw size is #10.0903DP1: Good for polished or burnished models. Fits Fortress Models - FX7-FX16Dan..
Anchor release system for small boats in still-water fishing situations. 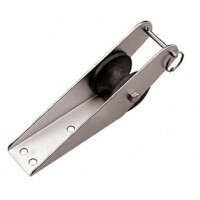 Easy lock and release actio..
Deck anchor chock ss set Weight: 5-20 lb. anchorsMaterial: Stainless Steel..
Zinc plated anchor lift & lock A: 6-13/16"Fastener: #10 RHB: 13/16"C: 1-7/8"Rope Size: 3/8" dia. Max.. Stamped 304 stainless. Designed to facilitate self-launching of the anchor system. Sold in bulk. A: ..
Investment cast 316 stainless steel. A: 3-7/8"For: 1/2" ChainB: 2-5/8"C: 3"D: 4-3/4"E: 1/2"..
Investment cast 316 stainless steel. A: 2-5/16"For: 3/16"-1/4" ChainB: 1-13/16"C: 1-13/16"D: 3-1/8"E..
Investment cast 316 stainless steel. A: 3-1/8"For: 5/16"-3/8" ChainB: 2-3/8"C: 2-3/8"D: 4-1/8"E: 1/2..
Sold in bulk.3/8" bolt fastener. 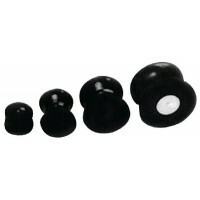 Type: LargeLine Size: Up To 1-1/2" dia.Wheel Size: 3-3/8" x 3"Lengt..
Sold in bulk.3/8" bolt fastener. 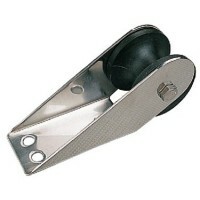 Type: LongLine Size: Up To 1"Wheel Size: 1-3/4" x 1-1/2"Length: 15-..
Sold in bulk.3/8" bolt fastener. 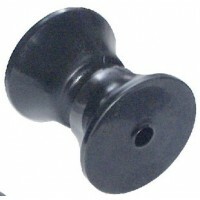 Type: MediumLine Size: Up To 1"Wheel Size: 1-3/4" x 1-1/2"Length: 1..
Sold in bulk.3/8" bolt fastener. 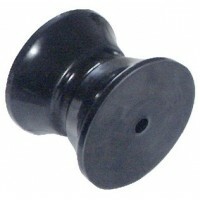 Type: MediumLine Size: Up To 1-1/2" dia.Wheel Size: 2-15/16" x 2-3/..
Sold in bulk.3/8" bolt fastener. 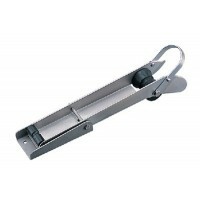 Type: ShortLine Size: Up To 1"Wheel Size: 1-3/4" x 1-1/2"Length: 9".. Stamped 304 stainless steel. 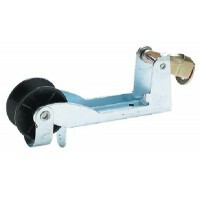 Mounts alone or inside most bow rollers. 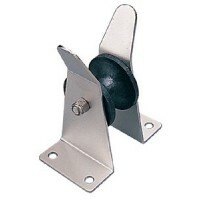 3218201 fits chain sizes 3/16"..
Zinc plated steel anchor lift and nylon pulley system. 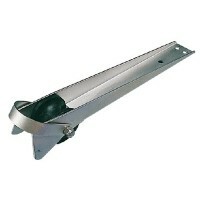 Zinc plated steel sleeve controls anchor from.. 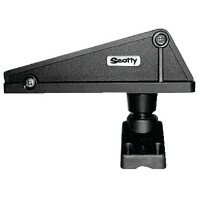 Designed with a quick release pin that will hold chain or shackle in place. Fits up to 7/16" chain a.. 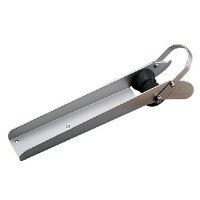 Heavy duty stainless steel anchor tensioner that holds the anchor securely to the anchor roller to p..
For bruce anchor sizes 22 lbs. to 66 lbs. and Delta anchors 14 lbs. to 35 lbs. Self-adjusting system.. Stainless Steel. URM2: Heavy-gauge model, built for holding Danforth and Fortress (through FX 23) on.. Stainless Steel. Chafe-free design. Protects the hull and make anchoring much easier and safer.AR2: ..
For boats with anchor platform or bow planks and pivoting fluke anchors. 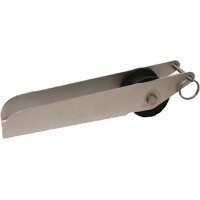 Mounts in or under slot to ..
Marine grade stainless steel with a Marithane wheel. Designed with a cantilevered system that makes .. Heavy-duty stainless steel. 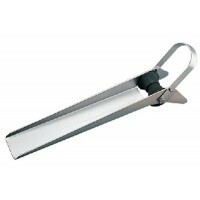 Securely stows plow-type anchors for sailboats or powerboats. Stainless .. Fits all Danforth and Deepset anchors on pulpit or rail. 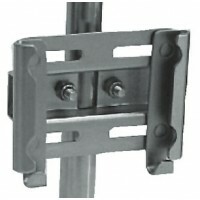 Unique adjustable clips grip anchor securel..
Stows all Danforth® and Danforth Deepset® and Fortress® anchors securely to any vertical stanchion. .. The Windline W-25 is a durable roller wheel and is hand-casted from an elastomer and is unmatched in..
Hand-cast from elastomer unmatched in ability to resist wear and distortion at high loads. Won't wea..